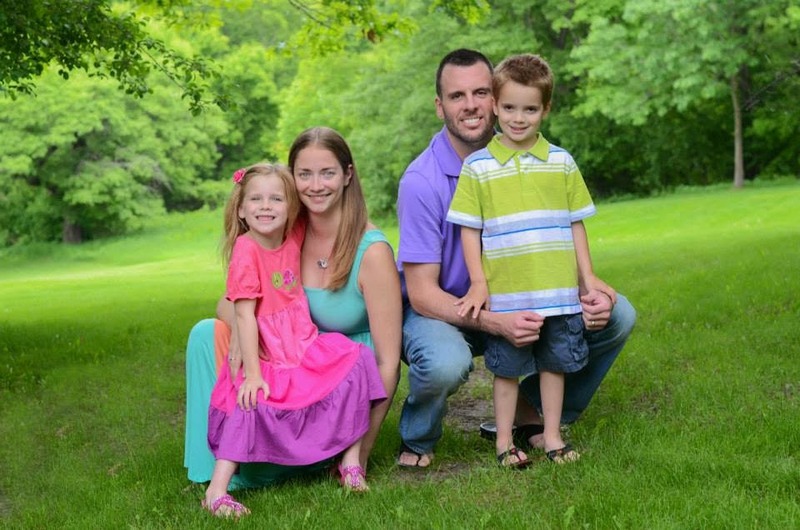 My name is Sarah Mulheran and I am the teacher/blogger behind Teacher Mom of Two! I am married with two children, Kylie (7 1/2) and Mason (6 1/2)! Kylie will be entering 2nd grade and Mason will be entering 1st grade this fall. We moved to Minnesota from Indiana about 7 years ago. We love our "land of 10,000 lakes" even though the winters can get a bit long sometimes! I enjoy spending time outdoors with my family, teaching, blogging, crafting, sewing and scrapbooking. My favorite outdoor activities in the summer are camping, kayaking and hanging out at the beach! 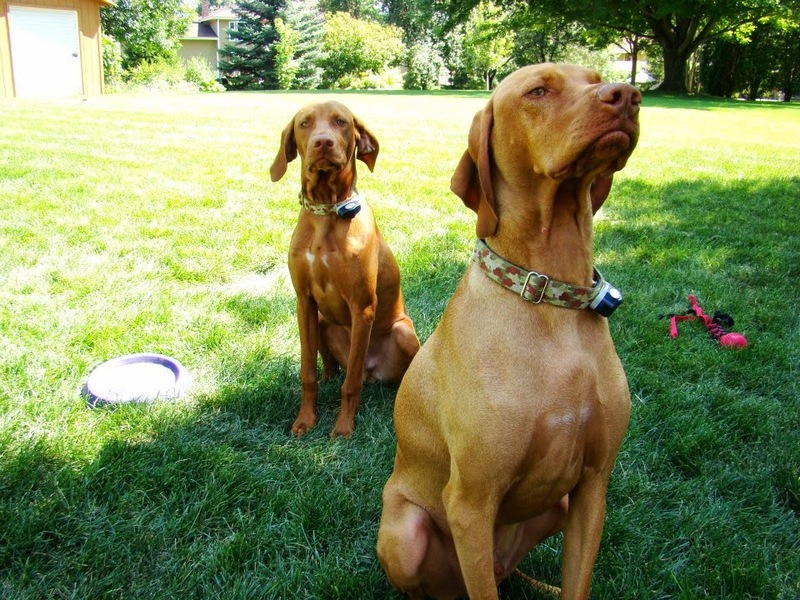 We also have two dogs, vizlas and their names are Bandit and Surly. My husband enjoys hunting with them and I enjoy running with them! I began my teaching career in 2005, teaching 2nd grade in Indiana. In 2007 we moved to Minnesota and I found out I was expecting our second child, Mason. I decided to take a break from teaching in a traditional classroom and opened up an in-home daycare. I ran a daycare for up to 10 kids (6 weeks old through school age) from the summer of 2007 to the summer of 2013. In June of 2013, I took a leap of faith and closed my daycare in hopes to return to the classroom that fall. God was watching out for me and I was offered a position as a 1st grade teacher for the 2013-2014 school year. I loved first grade, but was very excited when, at the end of this past year, I was offered the opportunity to move on to second grade for the upcoming 2014-2015 school year. I am very excited to get back to 2nd grade this fall! My favorite subject to teach is science! I love how hands-on science is and I love watching the "light bulb" click for students! I enjoy watching students work through their problems to find the best solutions! If you popped into my classroom unannounced, you would most likely see students scattered all around the room. We have exercise balls to sit on, instead of chairs. We have tables, instead of desks. We have lots of nooks and crannies for students to scatter to and get their work done. You would hear chatter as students excitedly worked on their projects and you would see smiles around the room! While I love teaching, there are always "those" days that you think may never end, that are hard or trying, but you know you can make it through! On "those" days I rely on a diet coke and some chocolates I have strategically hidden in my closets! I also save a book of student writing from each class and love to sit down and read through past students' writings while nibbling my chocolate and drinking my diet coke! It's so rewarding to see how successful students really were! One of my "can't live without" teaching resources is The Teacher's Ultimate Survival Binder by Joey Udovich! This upcoming year is going to be my first to use it, but I have to say, I don't know what I've done without it these past years of teaching! I've always looked for a clean, uniform way to get (and stay) organized and I have to say this one is going to be spot on! My favorite classroom project this past school year was our animal research project in first grade. I had heard from others that "first graders can't do research" but I wanted to give it a try anyways. I knew I needed to keep it simple to keep them engaged, but I also wanted it to span across our day and be cross-curricular. I planned out a unit where students worked in small groups of 2-3 students and each group chose their own animal. I like to remember "Voice is Choice!" I then checked out as many books on these animals, their habitats and life cycles as I could from our school library and the local public library. Students spent about a week researching their animals. We brainstormed a KWL chart so we could figure out "what do we want to learn about our animals?" I then used the KWL chart to create an outline that the students could complete to make sure they had found all of the necessary information in their research. In creating the outline, I also included a few guidelines that would ensure we met the state standards. For example: What is the life cycle of your animal? What does your animal need to survive in its habitat? Students then had the opportunity to use iPads and QR codes that I created to further research their animals. The students took pictures via the iPads and we turned the photos into a slide show that they would use the following week. Students created a book about their animal, poster and habitat picture. Then the students surprised me! I asked if they would like to do an oral presentation for their parents and they said, "YES!" So, on Valentine's Day we invited the parents into our classroom for the oral presentations. The students presented and even answered questions from the audience! They did such an amazing job, I quickly learned to never doubt what someone can accomplish! These kiddos were fabulous! This is the project the students talked about for the remainder of the year! They were in love! I am looking forward to doing something just as awesome in second grade! 1. Blog at least once every week. 2. 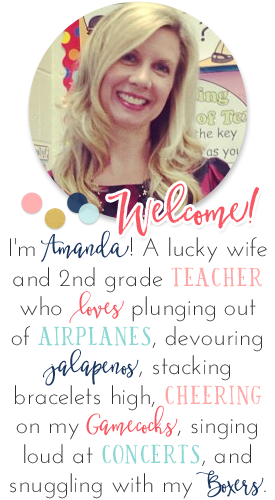 I love being creative and sharing what I've learned, so I hope to blog about things that are relevant to my fellow educators and help to inspire them to be the best teachers they can be, just as all of the bloggers I follow inspire me daily! Thank you so much for following along and getting to know me a little better! 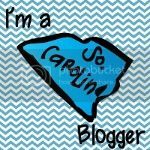 Please stop over and visit me, follow me and comment whenever you can at my blog, Teacher Mom of Two! Sarah, I love the idea of getting your students involved in your blog. That would really be a cool idea. 2nd grade is the best. I have been fortunate to be there for 8 years now and I can't imagine being anywhere else. :) Heading over to follow you now.